As part of my tour of the rich gastronomic seam that is North Lancashire I ventured to another top tip ‘The Bay Horse Inn’, just outside the historic city of Lancaster. 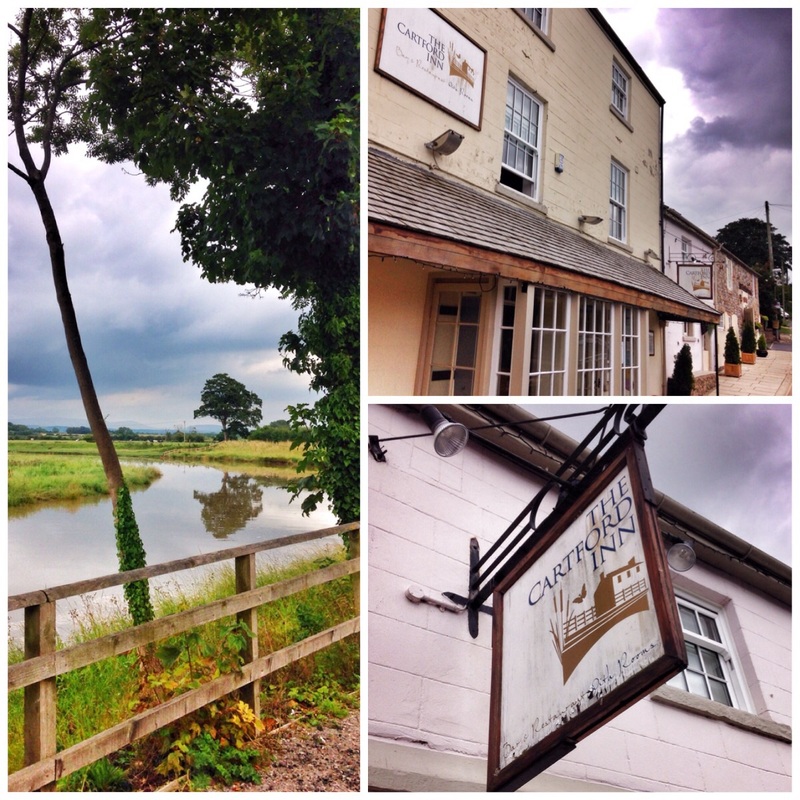 Its plonked right by the M6 so its easy to get to, but first we wound our way coastwards for a couple of miles for a pre-binge stroll round the rather wonderful Glasson Dock. Here we brewed and stocked up on goodies from the ‘Port of Lancaster Smokehouse’, a fine emporium. Kippers, shrimps and smoked, line caught haddock. It was a fine November morn making the stroll an altogether wonderful thing. We were in fine fettle as we entered the fine looking country pile that is The Bay Horse. They operate a 12 – 3pm shift on Sundays. We entered at peak time, just shy of 2pm. A rather harassed set of uniformed youngsters were manning the ship. The comfortably appointed snug was rammed. We hung round the bijou bar for a few minutes. Eventually we uttered our reservation credentials and we were wisked into the dining area. A drinks order was hastily scribbled. Sadly, after one or two prompts, it was a further twenty minutes before they arrived. It was twenty five minutes before we could attract enough attention to order from the simple ‘Sunday menu’. It’s a set price affair. £23.50 for three courses, £19.50 for two. I don’t normally go for soup, but this one sounded so intriguing I had to have a go. The cauliflower and Lancashire cheese soup with almonds was indeed good, but not great. My fault for going with soup really. Good texture, nice and thick. The flame was much more pleased with her salad of Kidderton Ash goats cheese, beetroot, toasted pine nuts and red wine dressing. It looked great and the goats cheese was very different. Discs of hard, salty goodness, very unusual, but as I say The flame well pleased. Mains was a different story. I went for the star of the menu a traditional Lancashire beef Sunday roast. Boy oh boy, this was excellent. Several pink slices of perfectly cooked sirloin. Steeped in flavour, set off beautifully with the meat juices and a medley of well cooked veg, roasties, Yorkshire pud and mash. Superb. Pity the photos failed, only got one. The flame went for a substantial chunk of pan fried hake, set on creamy truffled leeks, mussels and crushed potatoes. I managed a fork full. Translucent, flakes of fish set off with crispy skin. Another perfect dish. By now the service was catching up, and combined with the wonderful sunny view over the gardens this was becoming a most enjoyable interlude. We both went for desserts. The Flame took the honours, an incredibly moist orange and almond sponge with vanilla cream. This was top draw. I went for the bread and butter pudding. Tasted great, could have done with a bit more crunch on top, but wonderfully sloppy and ‘vanillary’. Like The Freemasons and others where I have only done a Sunday lunch, The Bay Horse Inn is another to try when the full menu is on show. Being an hour away it’s going to be hard, but I reckon it will be worth it. Lancashire sure has plenty to go at. There are so many great places using local produce and with head chefs like Craig here, they are doing the produce full justice and cooking it superbly.